Integrating trees, crops and livestock into farming systems translates to drought resilient, productive and sustainable systems. This innovation has drawn the attention of farmers, cultivating new trees in their farms for the purpose of providing fodder, fuel, food as well as other domestic needs. 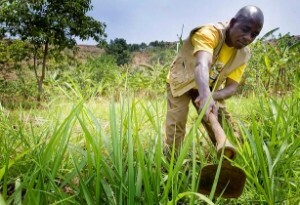 With ample training on these technologies and support from relevant institutions, farmers’ dependency on rangelands and frustrations on low productivity levels reduces as experienced in diverse African nations.